You are here: Home / Small Business Saturday November 24! Are you ready? Small Business Saturday and You – What can you do to make an impact? Holiday season is upon us and that means shopping, dining, parties, and more shopping! Do customers know to seek you out for that perfect gift? Shop Local Raleigh wants to all of Wake County to be shopping local in 2018. 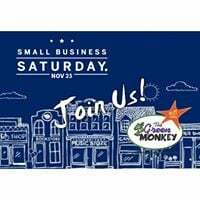 Make sure you are promoting your business and driving traffic to your store front on November 24, 2018 – Small Business Saturday. The Green Monkey knows how to spread the word! This November, we encourage you, the small business owner, to do your part to promote shopping local. Host an open house on November 24! Warm up the apple cider, get some baked goods from a local bakery and advertise a special sale or secret release of a new product. Another idea is to partner with a local business or SLR member to put a package together or cross promote a product. For instance, CORE Fitness wants to sell other SLR members’ goods in their fitness studio starting November 24 through the shopping season. Reach out to Shirley to have your items sold at CORE Fitness Studio. If you are a photo studio, offer mini holiday sessions or special pet portraits. Partner with a local salon or makeup studio to offer a mini makeover or “Holiday Party” package deal. Local photo print shops can offer a one day only special on Small Business Saturday. Furthermore, use your social media to engage your customers! “What is your favorite holiday meal?” is a great question to pose on social for a restaurant, then subsequently create a lunch or dinner item based on customer feedback and advertise. Schedule E-blasts to promote a special offer or sale to those loyal customers. Make sure your email is short and has an offer they cannot resist. Another idea is to partner with a non profit. Drum up business and do some good for a local charity by running a food drive, taking coats and hats for a shelter, or giving a small percentage of profits to the charity for a particular day or week. 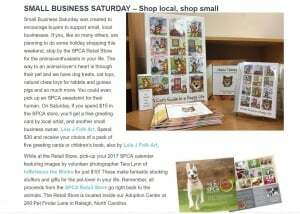 We liked this promotion in 2016 from the SPCA of Wake County featuring a local artist and a purchase in their gift shop. Most importantly, promote your business and goods! Whatever your business is, be part of the movement. 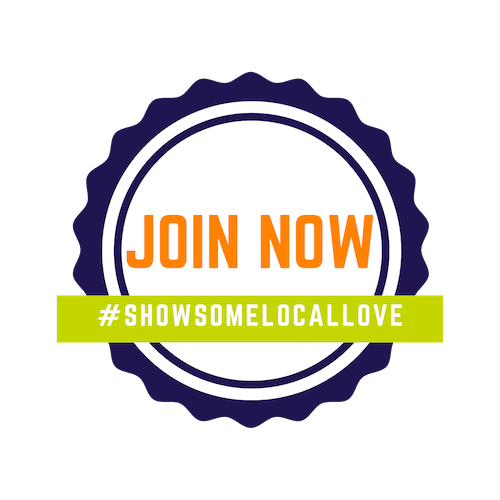 Above all, encourage your consumers to #showsomelocallove this holiday season and shop small on Small Business Saturday. For more ideas on promoting your small business, visit the Small Business Association web page. Download free marketing materials for Small Business Saturday HERE. Are you an independent business owner in Wake County? Want to take advantage of the benefits of Shop Local Raleigh? Join today for only $100! https://shoplocalraleigh.org/wp-content/uploads/2018/10/Small-Biz-Sat-Email-Header.jpg 1079 2312 slrslrslr https://shoplocalraleigh.org/wp-content/uploads/2014/07/shop-local-raleigh-logo.png slrslrslr2018-11-21 01:17:192018-11-21 01:17:21Small Business Saturday November 24! Are you ready?